Built in biomechanics for the barefoot enthusiast! 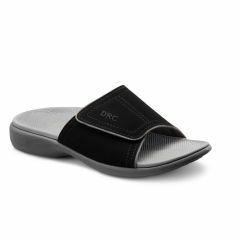 The Shannon women's flip-flops feature a dual density midsole, integrated post & shank and comfort cushioned footbed, with true arch support. Once you try the Shannon Ortho Sandals, you'll never want to wear ordinary flat flip-flops again! The Shannon Ortho Sandals are available in four colors - Red, Black, Camel, and Light Blue.